Z: Steel Soldiers can now be installed on any Android device running 2.3.3 or higher (or at least any of them that I've owned), so long as you've got $7 to put in the developers' jar. The mobile version of the game has enhanced 3D graphics and touch controls, but other than that it's the same thing you remember from way back in 2001. Well, almost the same thing - the single-player campaign is intact, but there isn't any multiplayer to be found. Purists can use an external keyboard for a more PC-like experience. 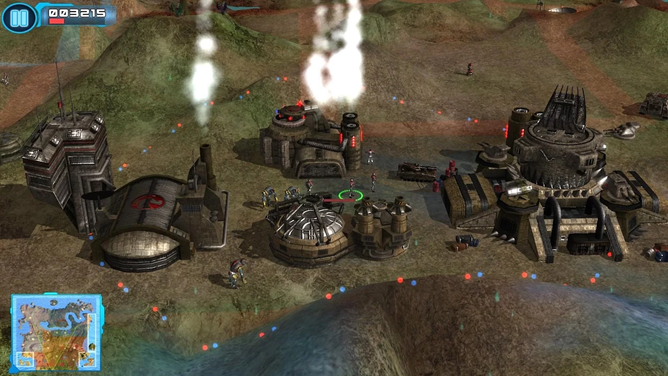 The original game distinguished itself from competitors like Warcraft and Age of Empires with a uniquely comical tone, and that's been preserved in the Android version with full voice acting. The latest update to the game also has a new skirmish mode in beta and several bug fixes. Z: Steel Soldiers has no in-app purchases.